There are concerns a popular brand of baby formula has been tainted with a potentially deadly bacteria but Nutricia, one of Australia’s largest suppliers of baby formula has insisted there will be no need to recall any batches of its product in Australia. Karicare is made by Nutricia and supplied by Fonterra. “New Zealand dairy giant Fonterra said yesterday that it would recall over 1,000 tonnes of its products after finding a strain of harmful bacteria in batches of whey protein. The bacteria can cause botulism, a potentially fatal disease which affects the muscles and can cause respiratory problems. 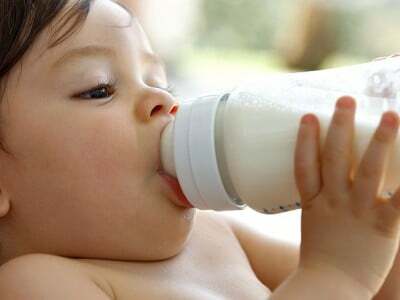 Infant botulism can attack the intestinal system.New Zealand’s ministry of primary industries confirmed five batches of Karicare formula for babies aged six months and older were produced using the contaminated product. This issue does not affect any Nutricia products sold in Australia. Fonterra yesterday informed Nutricia that one of their ingredients had a potential quality issue. Nutricia received a further update from Fonterra at 8.15pm (NZ time) on Saturday 3rd August. This new information indicated that some of the ingredients supplied to Nutricia may also have been contaminated. For this reason, Nutricia has instigated a precautionary recall in New Zealand. Karicare Infant Formula Stage 1 (0–6 months) in NEW ZEALAND ONLY with batch numbers 3169 and 3170 (use by 17 06 2016 and 18 06 2016). The batch number and use by date can be found on the base of the tin. Karicare Gold+ Follow On Formula Stage 2 (6–12 months) in NEW ZEALAND ONLY with batch number D3183 (use by 31 12 2014). The batch number and use by date can be found on the base of the tin. Consumers should not feed products with these batch numbers to infants. If you have been using these products to feed your infant and your child shows any sign of illness, please contact your health care professional as a precautionary measure. This recall ONLY affects batch numbers 3169 and 3170 of Karicare Infant Formula Stage 1 (0–6 months), sold in New Zealand and batch number D3183 of Karicare Gold+ Follow On Formula Stage 2 (6–12 months), sold in New Zealand. The recall DOES NOT include other Karicare products. Again, this issue DOES NOT affect any Nutricia products sold in Australia. If you have recently purchased any products with the batch numbers detailed above, please return them to the place of purchase for a full refund. Further information can be obtained from the Customer Careline on 0800 258 268. Nutricia apologises for any inconvenience or stress caused by this, but the safety of our consumers is our paramount concern. We are doing everything we can to resolve this issue and provide as much information and support as possible.